It started as a rumor at Camp Perry, then emails went out, then official word on the website from CMP. At first there was talk of a weight limit, now it doesn’t look like there will be a weight limit. Hopefully, we are likely a few weeks away from seeing the new rule book. It’s time to face it, optics will be allowed in Service Rifle matches next year. Note that Mark has stated that the weight limit for optic equipped rifles is no longer going be included. Take a deep breath, it’s ok.
My understanding is that it is driven by the military teams. 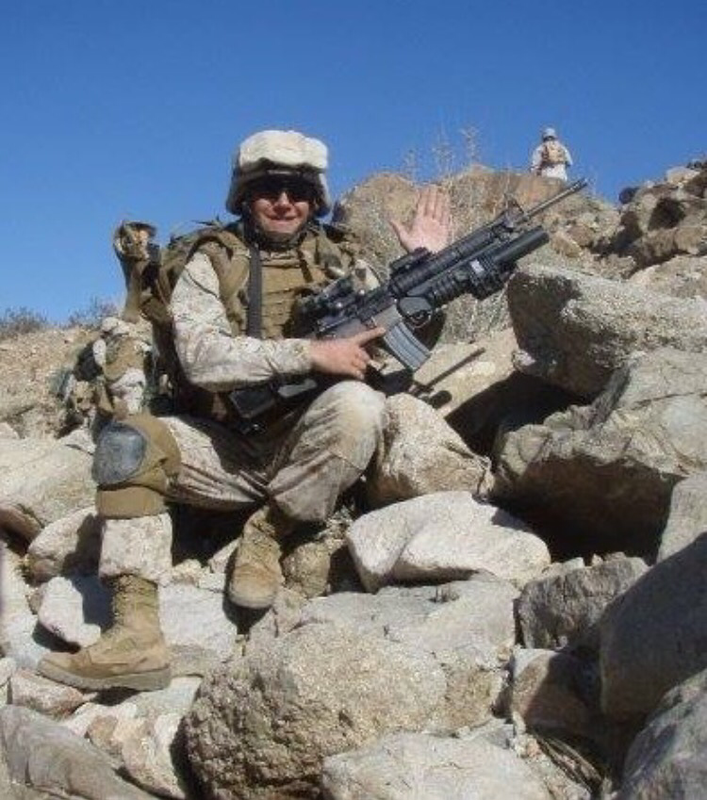 The logic seems to be that deployed Soldiers and Marines do not use iron sights. The A2 has dominated the firing line at Camp Perry for almost 20 years. First accepted in 1986, the A2 is fast becoming an “old gun” at this point. If the question is “should” CMP allow optics, well, the times are changing. From Springfields to Garands to M14s to A2s, the service rifle community has always adapted. The game is changing with the times; the line might look different but it will still be the game we love. The skills that made a good marksmen in 1907 with a Springfield and a Campaign Hat will make a good marksmen in 2016 with a optic equipped A4. It’s yet to be seen what scopes will do to scores. Things could be about the same, irons could continued to reign supreme, or scopes could break all the records. It took several years for black rifles to take hold in the XTC world. Personally I think we will see the same thing by the time the NTI comes around with a mix of irons and scopes making the cut. I can’t tell you what the right choice is. But since I can’t change the rules I’m going to embrace them. 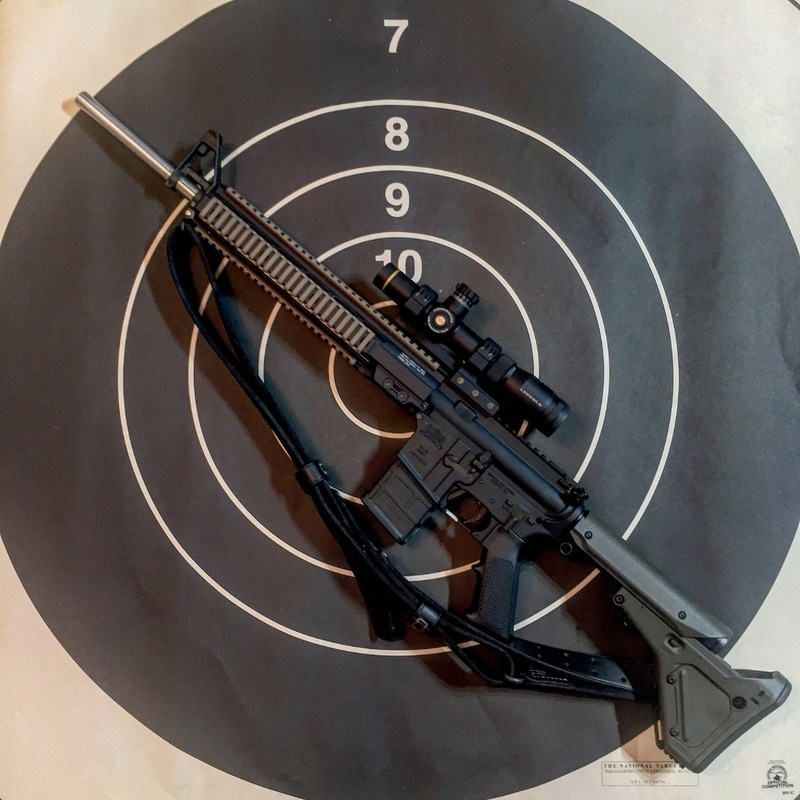 The equipment related rule changes that will matter most to Service Rifle shooters are optics and collapsible stocks. Sadly as far as for the optics, it’s not as easy as just ordering a 4.5 power scope and strapping it on with your favorite tactical brand of scope mounts. 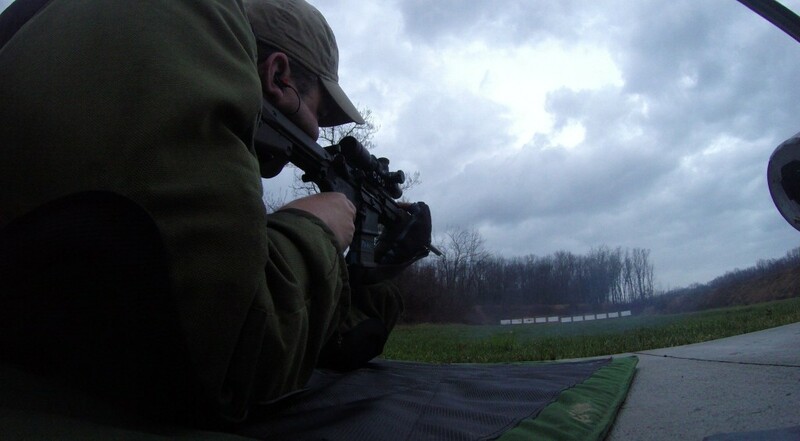 Service Rifle is shot “across the course” (XTC) at 200, 300 and 600 yards. With the exception of some very high dollar scopes most 4 powers scopes have a fixed parallax which poses a challenge. 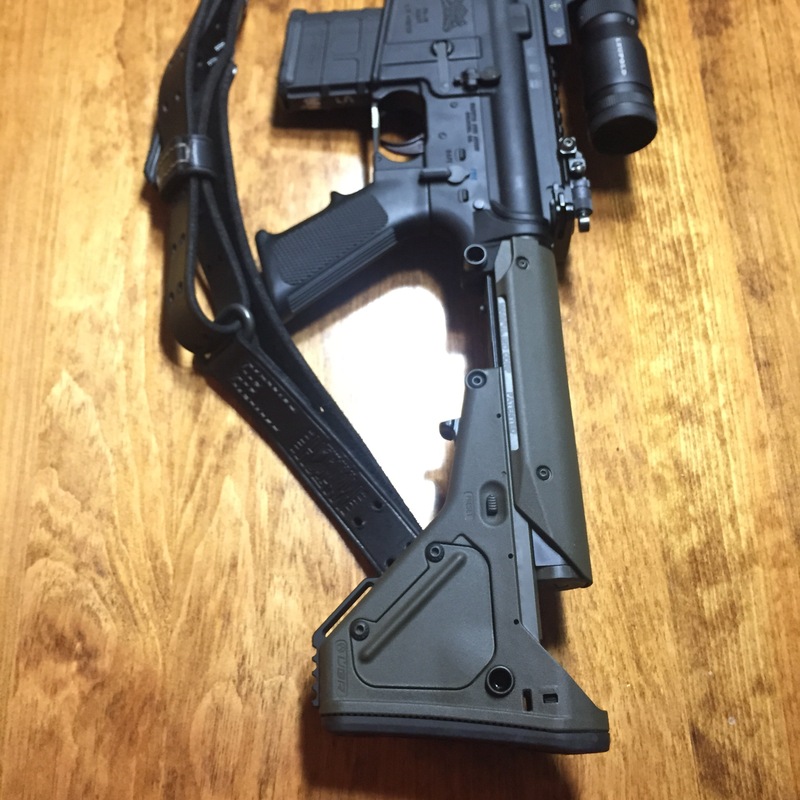 After Camp Perry I ordered an A4 flattop upper with a MK7 rail, from White Oak Armament in anticipation of the rule change, and I needed a New Jersey legal upper if I wanted to get serious about EIC matches. I really like this upper it served me well in the late season and now is making it easy to adapt to the new rules. I ordered a custom VX-R 1.25-4 from Leupold with the parallax set at 200 yards, this being the shortest distance shot in XTC matches. 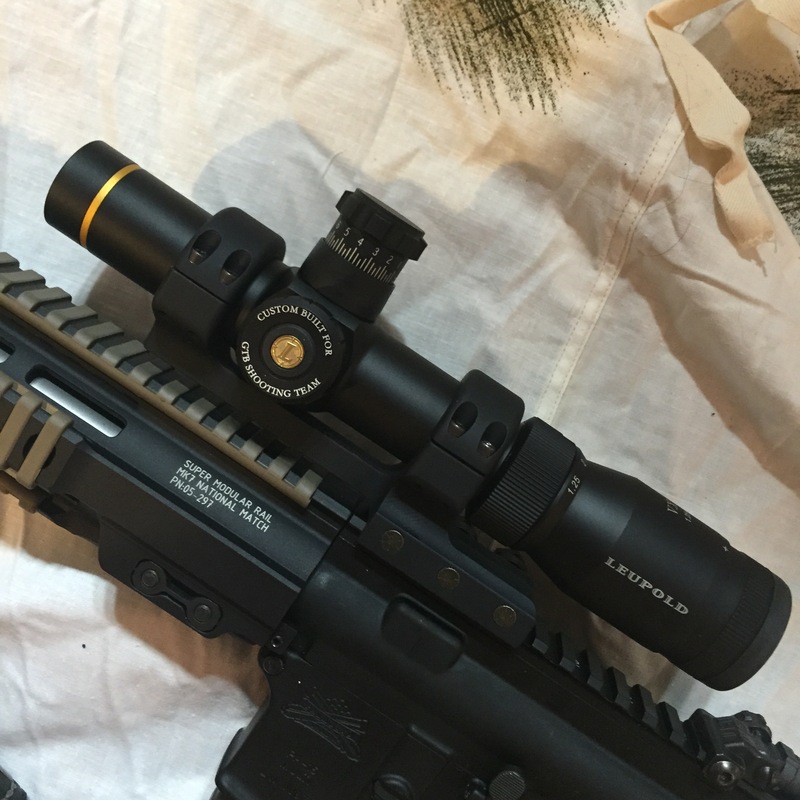 The logic being that 200 yard parallax is fairly close to infinity so the error at 600 will be minimal compared to the error a user will experience shooting a shorter distance than the scopes’ parallax. I also selected Leupold’s M1 turrets, I picked these over the CDS turrets as they seemed easier to read and I might be more likely to notice if I missed a rotation of elevation when I moved back to 600, like I did in Maryland. For the reticle, I went with the SPR-G which is the SPR with the green dot instead of red dot. I’m color blind so seeing red on black is a challenge for me. The SPR has a large circle and hash marks. 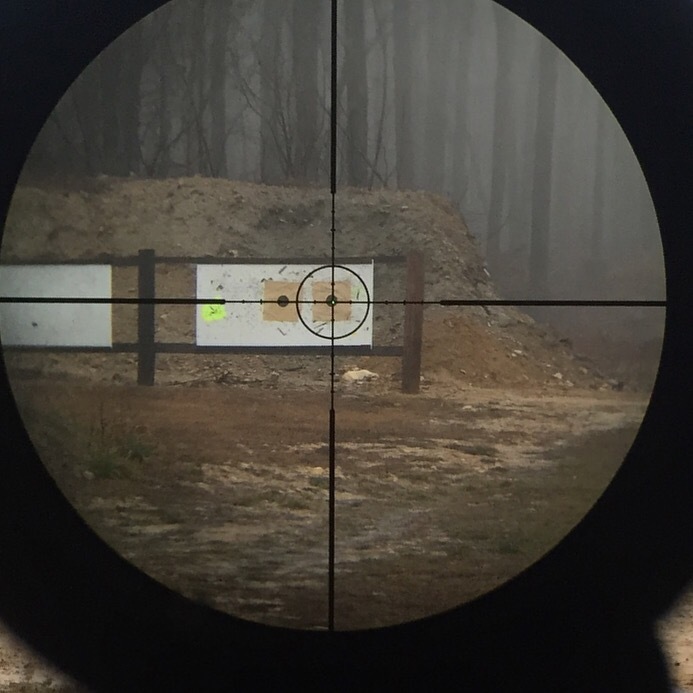 The hash marks were my primary reason for selecting this reticle. I also like the idea of the large circle – it might come in handy when trying to square up the target. For a mount I went with a DNZ “freedom reaper” one piece mount. The magic numbers for shooting prone with this scope seem to be 1.38 or less tall with a 3 inch over hang. Sadly there are not a lot of options for those numbers. I know some other folks are going with a riser with low rings mounted to that. I’ve had a DNZ mount on my Tikka T3 for many years and it never left me down so I will give it a shot on my service rifle. The new rules include language around collapsible stocks now being legal. Frankly this one might be worth waiting to see the rule book on as it not clear if “any” collapsible stock will cut it. 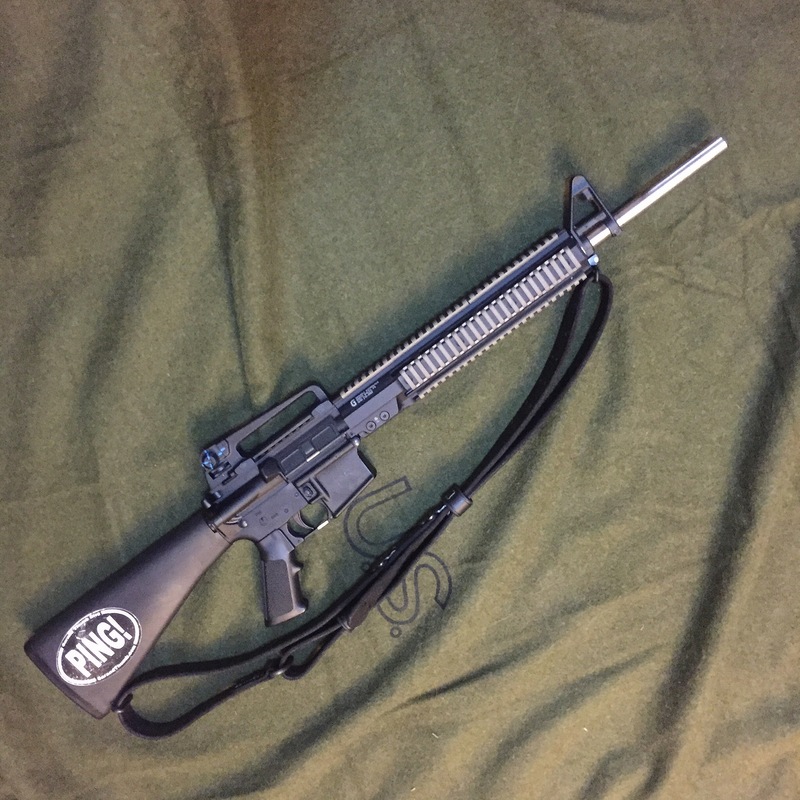 I happened to have an extra UBR so I installed one on my Service Rifle to kick around. As far as stocks go this one is one of the best out there. For one, it’s built like a tank, but more importantly it allows the user to adjust the length of pull while maintaining a constant cheek weld. A full range report will follow as soon as I can stretch its legs a little. 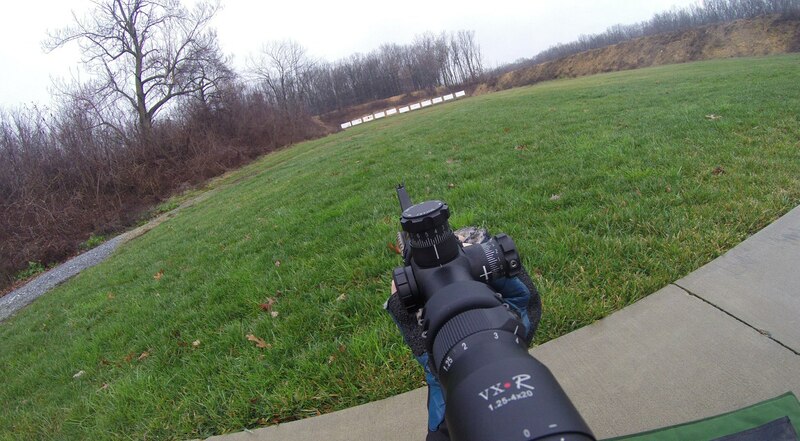 I only have a few rounds down range with the scope mounted just getting a rough 100 yard zero due to the recent weather. My initial impression is that shooting with a scope is going to at the very least be more comfortable than irons. All in it’s around a $800 cost to upgrade your A4 to be optic equipped, more if you have an A2. Make that $1100 if you want a UBR as well. If you are new shooter please do not be intimidated by all of this. Get a A4 with a removable carry handle or even an A2 irons will still get the job done. 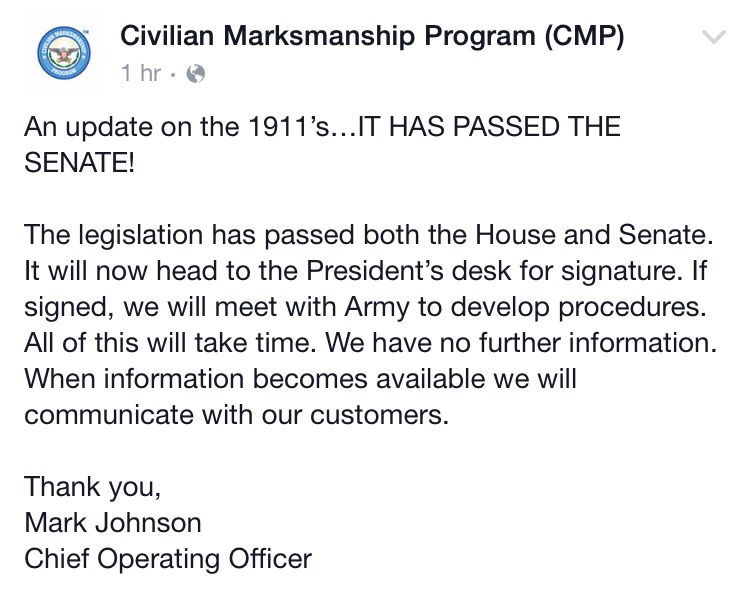 Update: The NDAA 2016 CMP 1911 Amendment is….. Not done yet. The Senate has reached a deal on the NDAA. It still contains the language changing the CMP charter to remove the restriction on 30 and 22 rifles only. 10/22/15 update: The NDAA was vetoed. This did not pass, if it survives the deal being hashed out in congress is yet to be known. 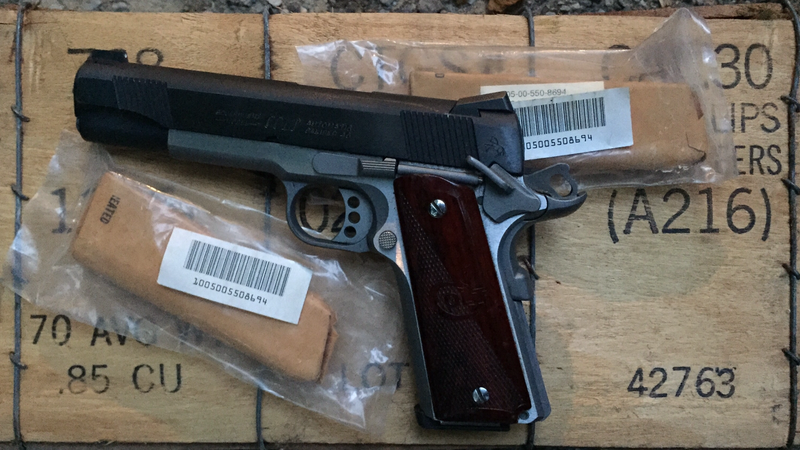 The same blog that incorrectly reported an impending flood of $220 Garands from Korea is now reporting that CMP is about to receive a pile of surplus 1911s. 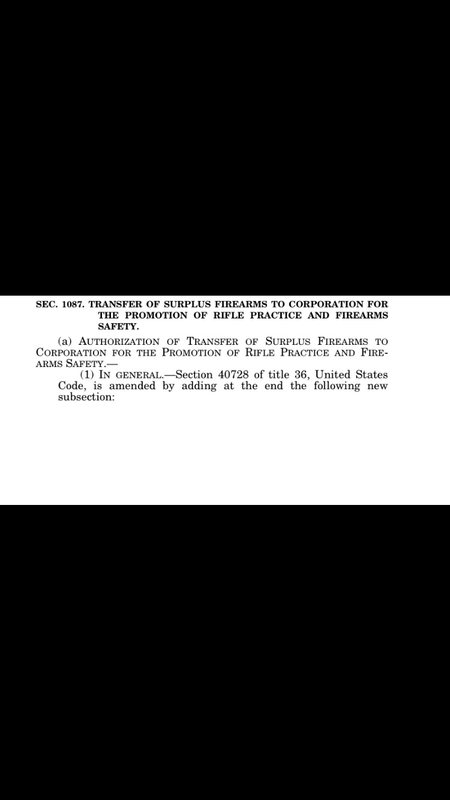 Back in May, an amendment was added to the House version of the National Defense Authorization Act (NDAA) which would have changed CMP charter to allow them to sell surplus 1911s. There was much handwringing from the ignorant gun control pushers, Obama issued a statement opposing the change and that amendment sadly disappeared from the senate version of the bill. The only thing 1911 related CMP has for sale currently is a great deal on NOS GI magazines. 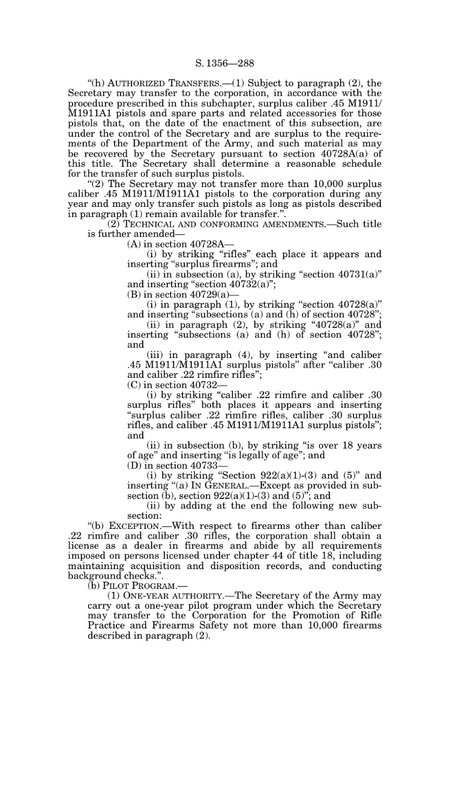 The current version of the NDAA can be found by clicking here. There is a game of chicken going on with the NDAA in Washington right now, outside the scope of my blog. 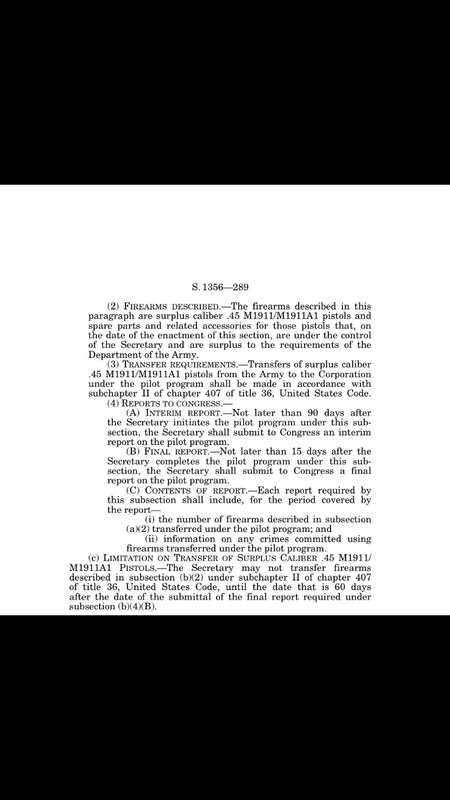 However, 1911s or no 1911s there is a veto threat so it’s anyone’s guess what happens next. 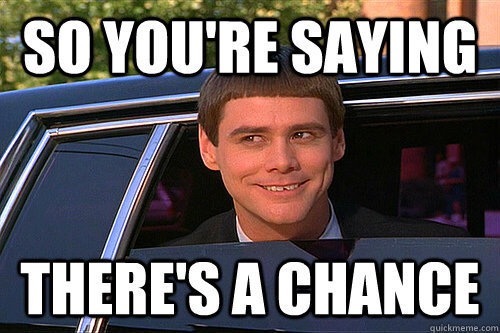 At this point the bill goes to the house to reconcile the differences so, anything could happen but at least for this round, the chances seem slim. Additionally a good supply of GI 1911s along with some CMP games matches for these pistols, could be just the boost traditional bullseye pistol shooting needs.